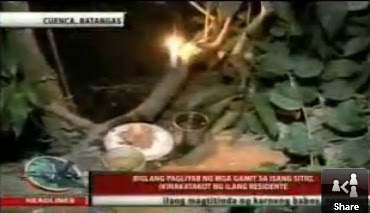 Home / BatangasEssay / Cuenca / Paranormal / Strange Burnings in Cuenca, Batangas Caused by Engkantos? 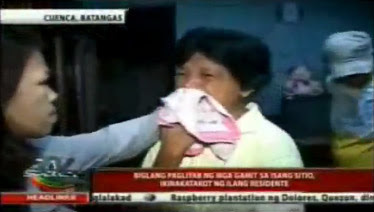 There was this strange item on TV Patrol Southern Tagalog yesterday that I do not really quite know what to make of. One would think, in this day and age, that Science is able to explain just about anything under the sun. Not quite; or at least, if you live in this obscure little sitio called Mombog in a village called San Isidro in the municipality of Cuenca right here in Batangas. The residents are already in a state of distress – or so the news report went – on account of things spontaneously combusting inside their homes for no apparent reason whatsoever. The general conjecture among the residents is that the spontaneous combustions are being caused by engkantos disturbed when a local lad set afire a balon – probably a garbage dump – in the neighbourhood which he described as masukal and malamok. 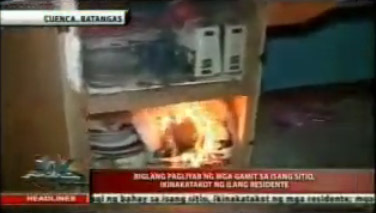 According to one resident interviewed by the news crew, the spontaneous burnings are acts of revenge by the engkantos. Another resident described how this strange black smoke would mysteriously appear from nowhere before objects burst into fire. As if to drive home the point that this was no hoax, a cabinet inside someone’s home burst into flames while the news crew was still in the neighbourhood. The news crew did not catch the start of the combustion; but caught the cabinet burning and somebody rushing to dowse the flames with a pail of water. “Hindî na pô kami natutulog,” one housewife told the news crew. 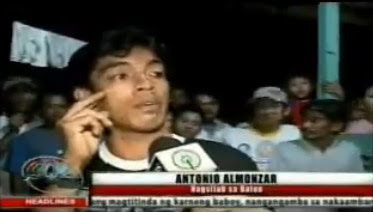 “Hindî na rin pô kami nakakakain,” another said. 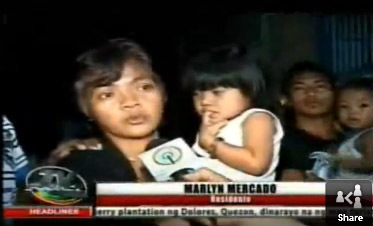 Residents of the entire sitio, apparently, take turns keeping watch lest the entire neighbourhood is burned down. To appease the engkantos, residents lit candles at the site believed disturbed and offered food and drinks as well. I do not think that the engkantos were as yet pacified. Indeed, just before the news crew left, something in the middle of somebody’s living room burst into flames again. The news crew caught that on video as well. An elaborate hoax, then, to gain media notoriety? Seems far-fetched! Fire is always a dangerous thing to play with; and for people to deliberately set their own stuff afire just to get attention just does not make sense. Combustible gases? God knows it was quite hot all week long. Surely, though, not hot enough to actually set anything afire? A priest, asked to give his views on the strange phenomenon, conjectured that it was possibly the work of the devil. I am tempted to say that there must be a scientific explanation somewhere. But what do I really know? Whatever the case may be, the poor residents of Mombog appear petrified already. Not that they can claim proprietary rights to the strange phenomenon. Apparently, the same thing happened in another village in Sto. Tomas, Batangas a few years ago. When I was a small kid, we just matter-of-factly took these sorts of things to be true. We are already in the 21st century. That is why I really do not know what to make of all these.